Creamy and dreamy, I'm swatching the Dreamy collection from a new-to-me polish line, Precision Lacquer. This lines looks great, and after testing it out, I can confirm that it is. The formulas are self-leveling and awesome. They are opaque, but not stark, so though some require 4 coats, they look wonderful (and are actually my favorites in this collection). I'm thrilled to have been able to try Precision Lacquer, and I can't wait to try more of them! 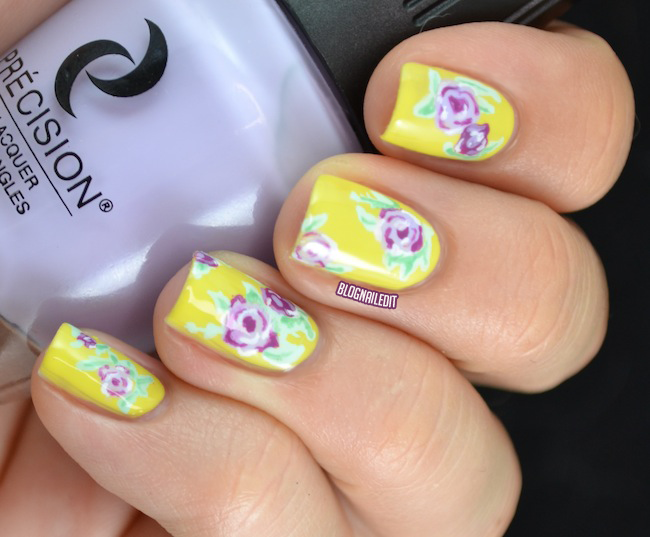 They're perfectly put together and make amazing nail art polishes! I used four colors from this collection and a white to get this look. Perfectly paired right? I love the cremes in this collection, so let's not procrastinate the beauty any longer. My favorite in the collection is On Cloud 9. It's so soft, and requires 4 coats. It's a pale, solid, creme powder blue. No shimmer or effect of any kind, it's beyond wonderful. Walking On Air is a powder lilac that perfectly corresponds to On Cloud 9. A little grey, like a fine evening mist hanging in the air. This one was also 4 coats. Enlightenment is a lemon pastel, not a buttery yellow pastel. I used 4 coats here again. I love the color against my skin tone and see it working well on others'. Have you ever watching Grey's Anatomy? I used to, and remember, quite fondly, Dr. McDreamy. This soft kelly green in named for this hunk, called McDreamy. It feels slightly teal, but clearly isn't. Another wonderful addition to the Dreamy collection. This was 3 coats. On the other side of the air and clouds is the big blue ocean, so Blissful Abyss acts as the beautiful yin to the air colors' yang. It's darker than any of the previous shades, so it only called for 2 coats. The last polish in Dreamy is Grape-Divine. To me, it looks exactly how grape candy tastes. A little tangy, but still very sweet! This was 3 coats. 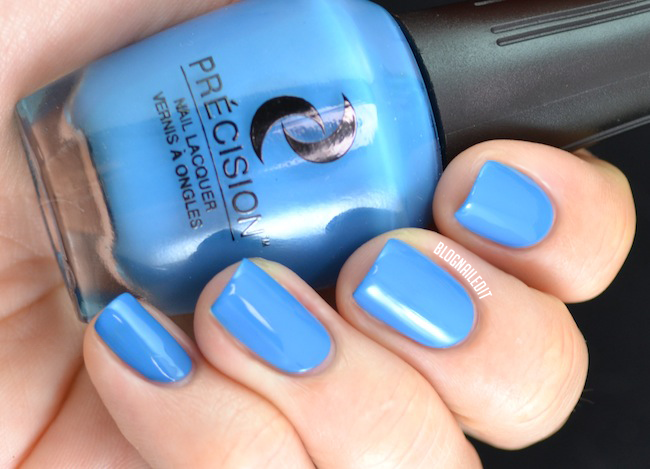 Have you ever tried Precision Lacquer? They're fun and flirty and a nice change from bigger brands. I can see myself buying some of these after trying the collection out. You can purchase the bottles from the Precision Lacquer website for $5.95 each. 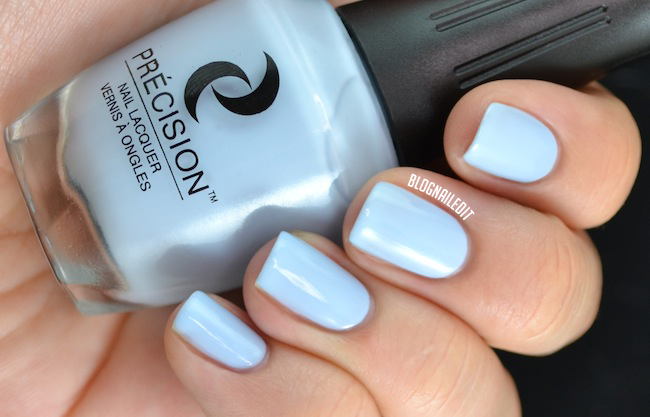 Nice price, nice polishes! They don't ship internationally if you order online, but you can contact them directly if you're interested. These products were sent to me by Precision Lacquer. The reviews are based entirely on my experience with the products and were in no way influenced by anyone. Beautiful swatches and I love the nail art! 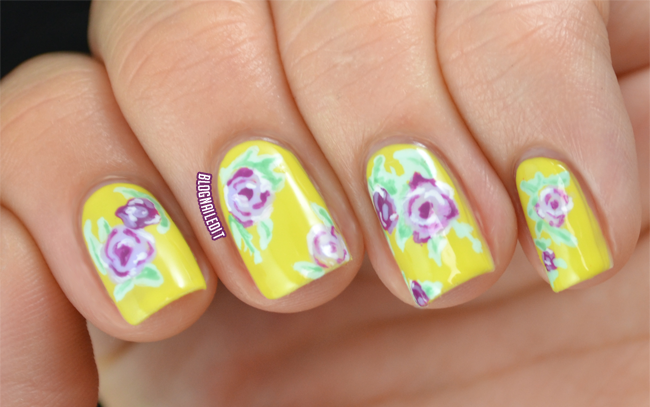 Your rosey mani is lovely! I love "On Cloud 9"!! !